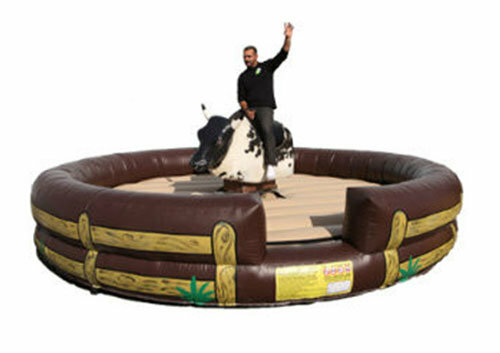 Mechanical bull is a great hit for any adventure seeking party goer, but be careful because just like the old Texas saying "if you mess with the bull expect to get the horns" with that being said don't worry about our bull's horns unless you have a fear of foam, fun and vinly, here at Jump Around Party Rentals we take your saftey very seriusly and that's why we only buy our bulls from the top manufactures in the country. We also train out to staff folliw all the best practices when it comes to using one of our bull rentals at your next big event. All depends on your level of athletism. Each one of our bull rentals come with a one attendent / operator.